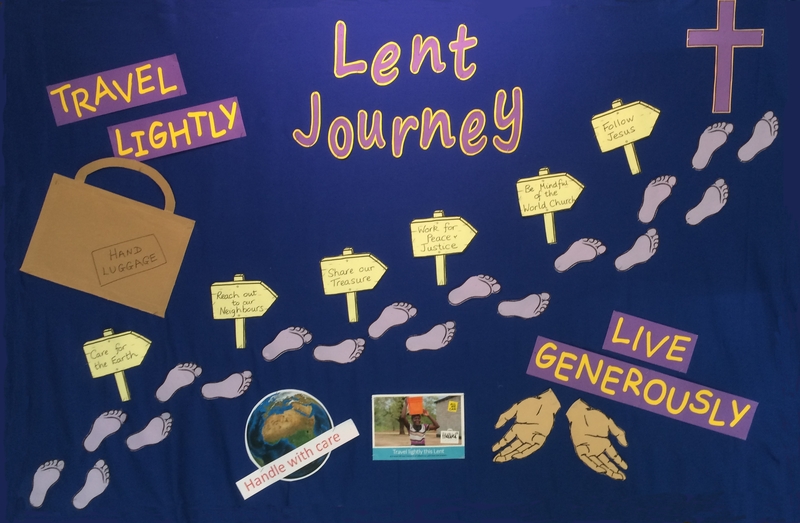 Our Lenten Foyer board this year supports and enhances our Lenten themed preaching “Travel Lightly, Live Generously”. 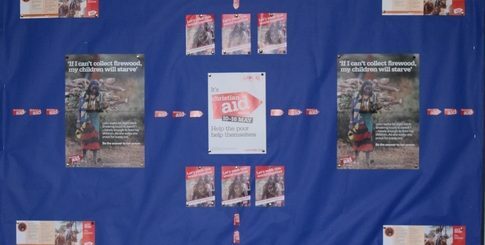 Our theme has been taken from and shaped around the Lenten material produced by “All We Can” the Methodist relief and development fund. We have been encouraged to make use of this excellent thought provoking material both as individuals and in our house group sessions as well as during our worship together. 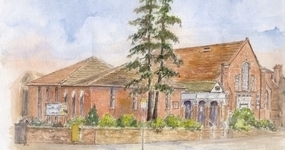 We continue to thank Denise for her work and creativity in producing this, the latest of her, visually stimulating and thought provoking images.